The Bold and the Beautiful (B&B) spoilers tease that a stunning arrest is on the way. Once Bill (Don Diamont) awakens, he’ll make it clear that Ridge (Thorsten Kaye) is the guilty party. Bill will believe that Ridge returned after their fight and pumped a bullet in him. Of course, that solution’s far too simple for a soapy attempted-murder mystery! The answer should be more complicated than that. Ridge is innocent, but he’ll consider taking the fall for this crime. He’ll believe he knows who the shooter is and he’ll want to protect him or her. The Bold and the Beautiful spoilers say Brooke (Katherine Kelly Lang) will get the Forresters to support Ridge through this terrible ordeal. However, she may be in for a big surprise if Ridge suddenly changes his story. Brooke and the others may be perplexed when Ridge doesn’t seem to care about beating the changes. 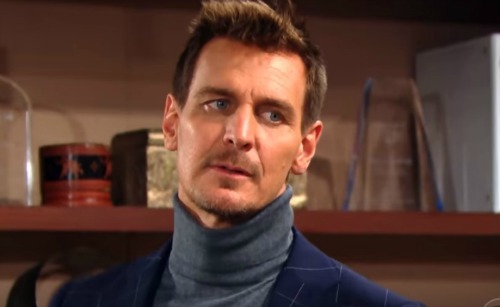 While Ridge is behind bars, Thorne (Ingo Rademacher) will pay him a visit. He’s had his fair share of issues with his brother, but he’ll still hate to see Ridge in jail. That’s especially true since Thorne won’t believe Ridge committed this crime. Maybe Brooke will even send Thorne to talk Ridge out of confessing. She might hope that Thorne can talk some sense into her husband. It’s worth a shot! Thorne might ask Ridge what he thinks he’s doing. He just won’t understand Ridge’s motive for taking the fall. The Bold and the Beautiful spoilers say Ridge will make an intriguing admission next week. He’ll reveal that he’s protecting another B&B character, but who? There are a few suspects that immediately come to mind. Despite Thomas’ (Pierson Fode) insistence that he didn’t shoot Bill, Ridge won’t be sure he buys it. He could easily think he’s protecting his son from a lengthy prison sentence. Caroline (Linsey Godfrey) is someone else Ridge would be willing to shield. He must have some lingering feelings for her deep down. Caroline is also the mother of Ridge’s grandchild, so that’s another big reason to protect her. 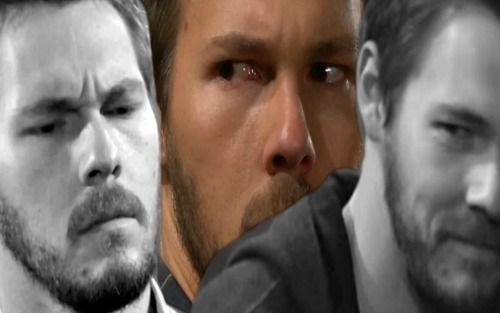 Liam (Scott Clifton) might be a good option, too. If Ridge finds a clue that points in Liam’s direction, he might stay silent for Steffy’s (Jacqueline MacInnes Wood) sake. 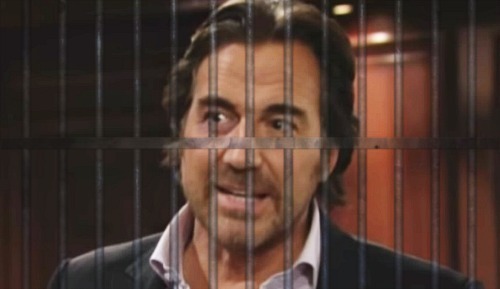 Ridge would know how much it’d hurt Steffy if her “baby daddy” landed in the slammer. Even Steffy herself could emerge as a surprise candidate in the shooting saga. Ridge would certainly take the blame for her! He’ll probably draw the wrong conclusion in this storyline, but his heart will be in the right place. Regardless, Ridge will suffer until evidence leads the cops down a different path. We’ll give you updates as other B&B news comes in. Stick with the CBS soap and don’t forget to check CDL often for the latest Bold and the Beautiful spoilers, updates and news. The Bold and the Beautiful Spoilers: Halloween Spectra Building Shocking Disaster – Bill Guilty or Wrongfully Accused?